Restackers AS-1000 have been designed to restack gathered reams, books, brochures or folders, as well as banded or packed products. 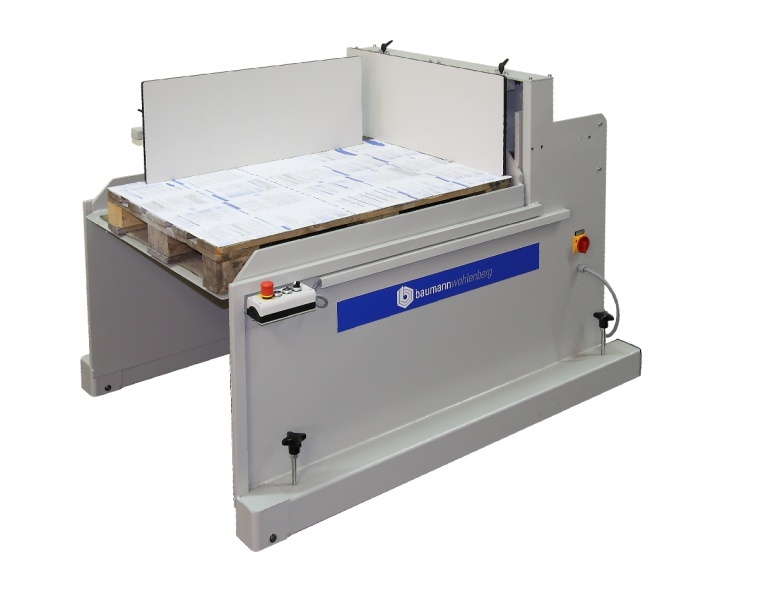 Usually, the AS-1000 is installed behind perfect binders, stitchers, collecting machines, cutters, three-knife-trimmers or book-finishing lines. An angle-stop guarantees the highly accurate restacking of the respective products. The automated functions relief the operator's physical strain while increasing the efficiency of the production system. * Other pallet-formats (up to a maximum format of 800 x 1200 mm) can be used, provided that the bars run lengthways.